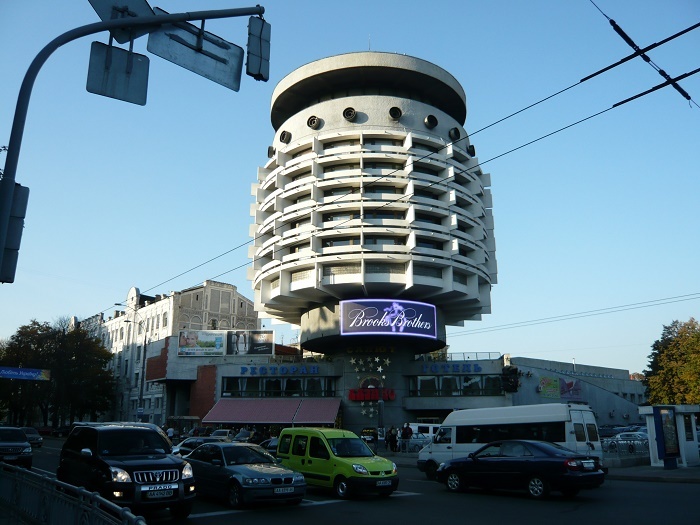 Hotel Salute, also known as the other written variation Hotel Salyut, is a hotel that has an interesting architectural style, and it is located in the capital city of Ukraine, Kiev. 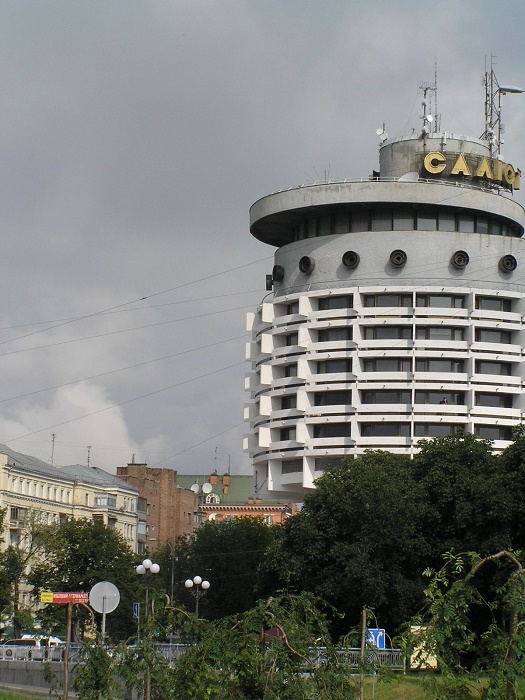 Located more precisely on a green hill at the right side of the Dnieper River, it is surrounded by lush greenery of the Pechersk District which is the administrative and cultural center of Kiev. 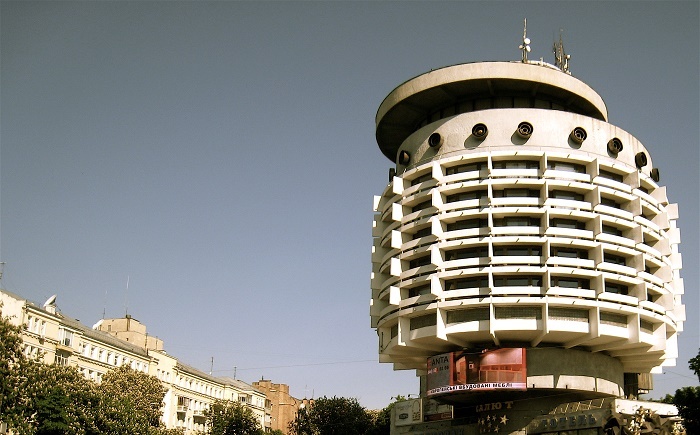 Designed in 1976, and built by 1984 by the Ukrainian architect Abraham Moiseevich Miletsky, together with N. Slohotska and Vladimir Shechenko, features 88 comfortable guestrooms of different categories with wonderful views of the UNESCO protected Kyivo-Pecherska Lavra and also the Dnieper River. 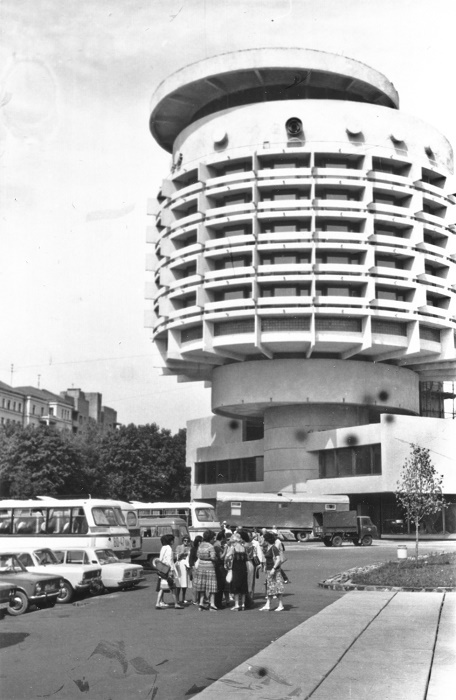 In the beginning the project of construction for this interesting building was supported by the Communist party leadership, however, after the collective refused to add the curator from the party on the list of authors, the construction project slowly began to decelerate. 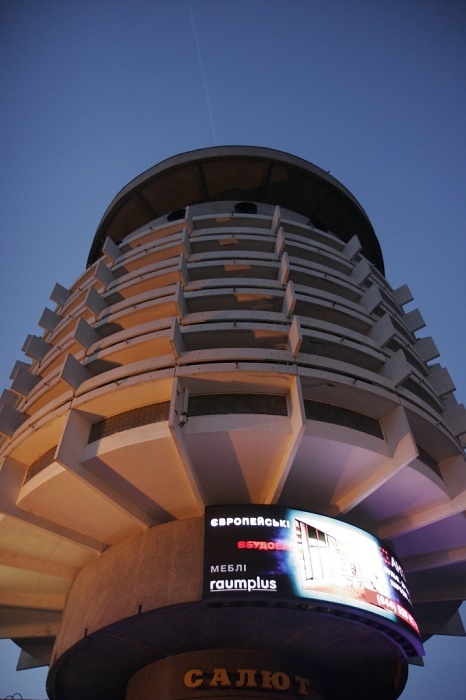 This is the main reason why the hotel did not complete as initially planned, which at the beginning was supposed to be a skyscraper designed with application of interesting and cutting edge construction for that time. 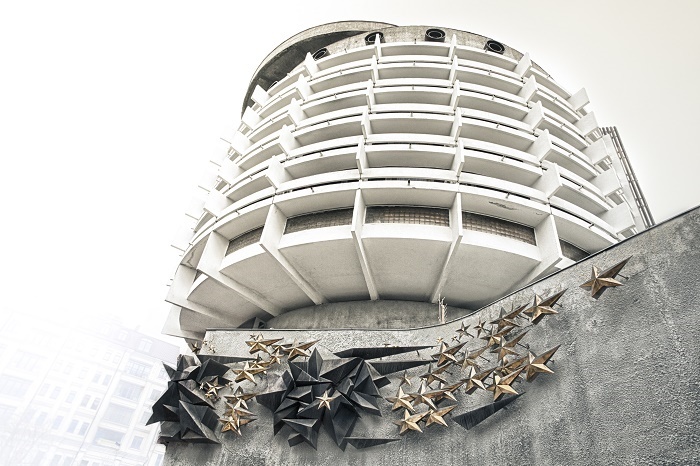 Also the budget for the construction entailed problems, making the building to have less floors than first planned where the plans had to change with the ongoing problems. The work of art that we see today is the final result of the “great” direct collision between architecture and the power of the politicians. 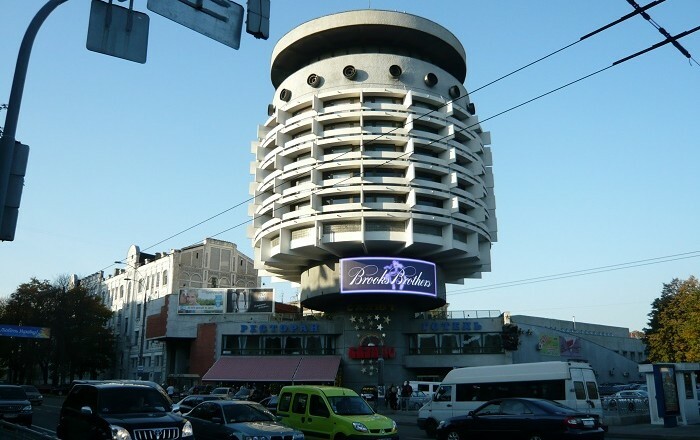 An interesting feature in the whole structure are the reinforced concrete walls that are counted to 19, which were used instead of using steel cables for support, which made the rooms little bit smaller, with no ability to expand, thus making the hotel not so effective from the start. 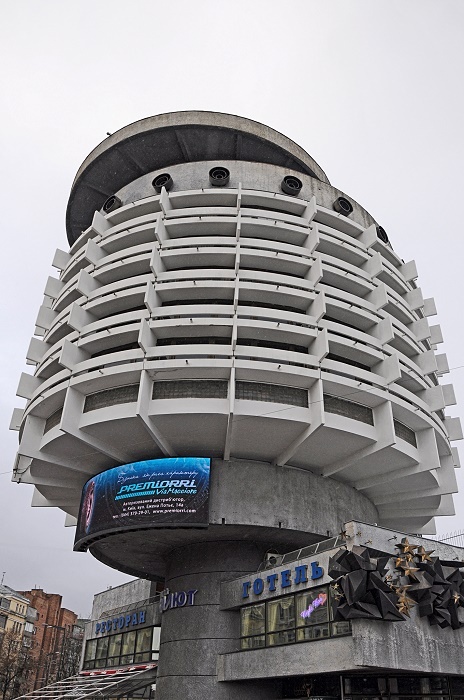 Still the circular form of the main building is something out of this planet, counting 6 floors for the rooms, and there is also a restaurant, conference hall, cafe, bar, and meeting rooms. In the back, what was suppose to be open fire escape stairways, now they are covered with steel frames, so that they won’t be exposed to those who are throwing a glance at the hotel. 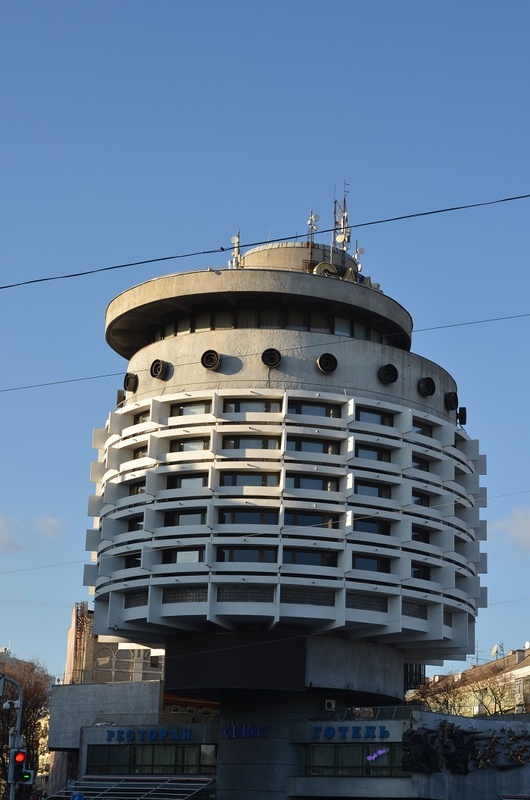 Nowadays, Hotel Salute as it is popular among the guests who are visiting the city, it is a great example of how the political power should not direct the way how the buildings should be built, and the people would continue to marvel this alluring Brutalist style architectural masterpiece.